Learn what olive oils and balsamic vinegar’s pair with each other to make amazing recipes—Yum! 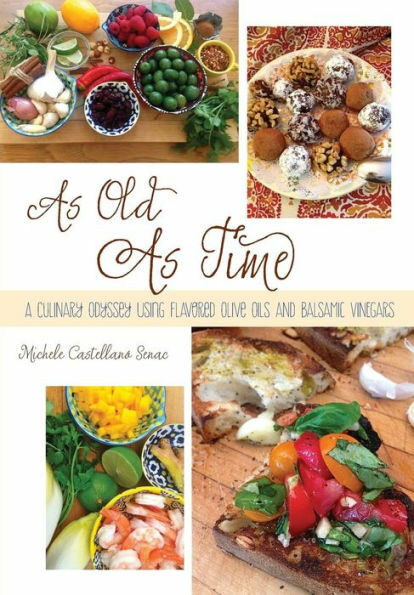 A culinary odyssey using our Balsamic Vinegar’s and Flavored Olive Oils. Paperback book by Michele Castellano Senac, 142 Pages.